Travellers can now discover the European Arctic's underwater world as Aurora Expeditions introduces Polar Snorkelling to their small-ship cruises to Spitsbergen and Greenland in 2016. The new optional activity will allow travellers to enjoy a 'full concept' Arctic experience, exploring new sites above and below the water. Designed for the more adventurous traveller, Polar Snorkelling is a unique activity that offers the chance to discover what lies beneath the icy Arctic waters. From sea anemones and sea urchins to nudibranchs, crabs and the occasional polar cod, snorkellers will witness the surprisingly colourful marine life of the Arctic. Perhaps the greatest highlight for any Polar Snorkeller is the opportunity to get up close to the glistening ice. 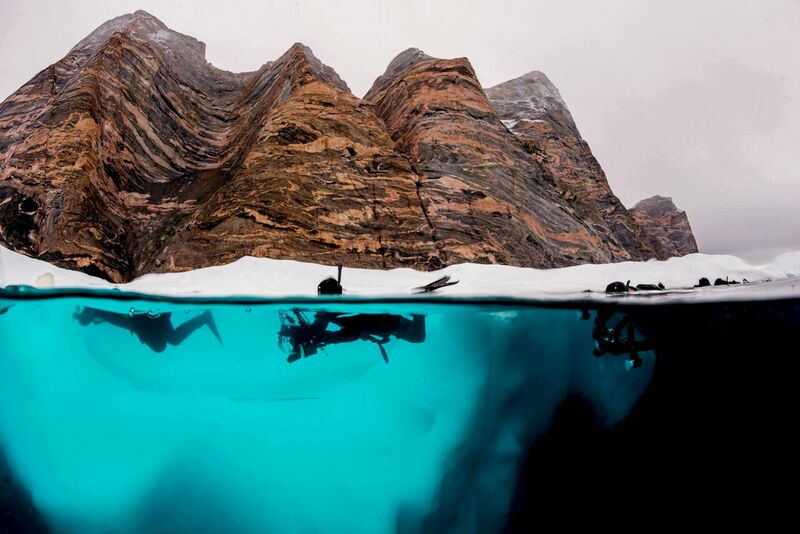 Snorkellers will enjoy swimming at the edge of the Arctic pack ice, as well as enjoy the fascinating ice formations that exist below the surface. And the best thing? Snorkellers don't need any scuba diving experience to jump in! The Polar Snorkelling option is available to anyone with some basic snorkelling experience, and to whoever is brave enough to push the boundaries to discover a new way of enjoying the underwater world of the Arctic's oceans. Polar Snorkelling is offered as part of Aurora Expeditions' wider Polar Dive program, operated by long-term partner and cold-water diving and snorkelling specialists, Waterproof Expeditions. Polar Diving offers experienced dry suit divers the chance to discover a new destination topside as well as underwater. Waterproof Expeditions provides all polar snorkel equipment on board, including a state-of-the-art Waterproof© D9 Snorkel Dry Suit – specially designed for polar snorkelling – as well as hood, gloves, boots and a full snorkel set including fins, mask and snorkel. Operated under a set of strict safety guidelines, Waterproof's team of experienced dive guides have over 20 years' polar diving experience and provide snorkellers and divers with detailed briefings and best practice procedures to ensure a safe snorkelling and diving experience. Polar Snorkelling and Diving is not for the faint-hearted, but those with a love for exploration and spirit of adventure will delight in being one of the first to enjoy some of our planet's most unexplored waters. Polar Snorkelling is an optional activity available across a selection of Aurora Expeditions' 2016 and 2017 Arctic and Antarctic voyages, operated in conjunction with diving partners Waterproof Expeditions. Aurora Expeditions' Arctic voyages depart July through September. Prices start from AU$6,380 per person, with Polar Snorkelling and Diving starting from US$975 per person. Aurora Expeditions and Waterproof Expeditions were the first operators to launch Polar Snorkelling in Antarctica in 2013, and now also offer the activity in the European Arctic. For more information visit www.auroraexpeditions.com.au or contact Aurora Expeditions team of polar experts on 1300 061 490. World Record Broken: Furthest south by ship.